Can your IT operations and service teams solve application performance issues before they impact users? Are they using the most modern diagnostics? Do your key applications perform consistently on physical, virtual and cloud infrastructures? 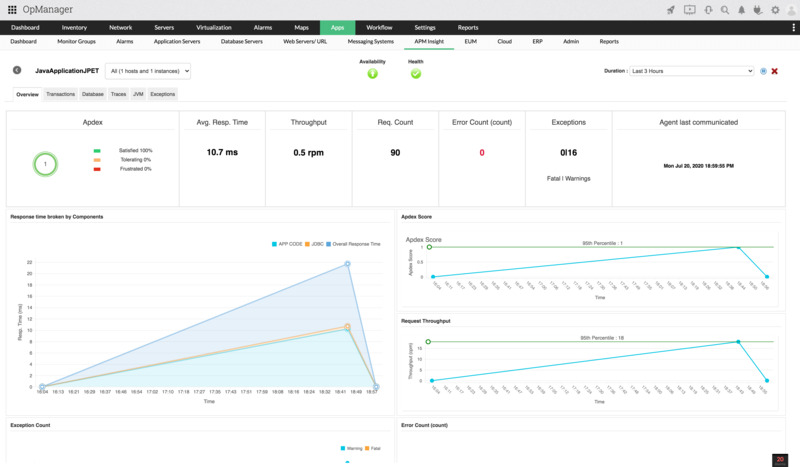 With Applications Performance Management plug-in you can proactively monitor business applications and help businesses ensure their revenue-critical applications meet end user expectations. This plug-in offers out-of-the-box monitoring support for 50+ applications and servers. Get a holistic view of your IT resources. 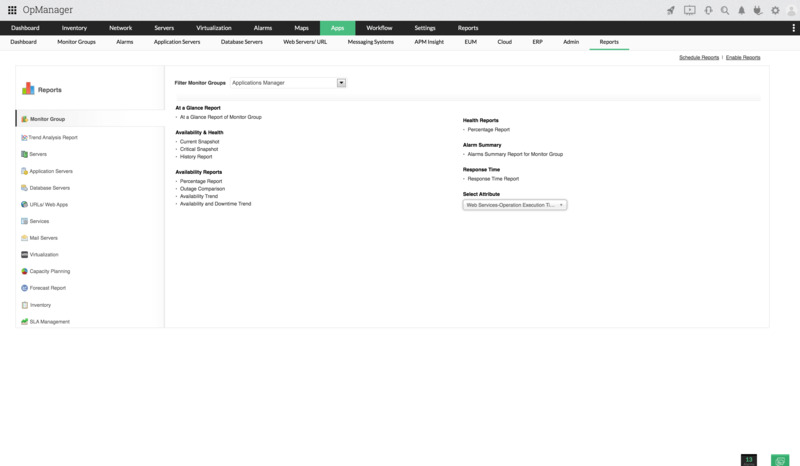 Perform end-user experience monitoring from your branch offices. Root Cause Analysis and identify bottlenecks. Automatically discovers the application servers, databases, services, systems, transactions, custom applications, virtual resources and cloud apps in your heterogeneous data center. 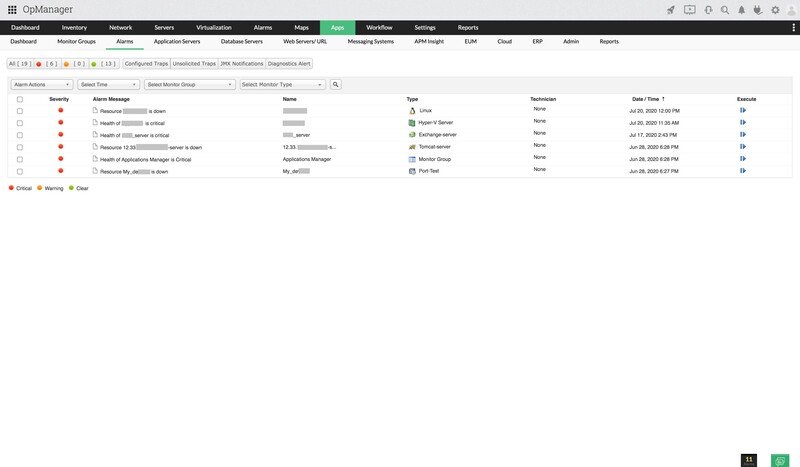 AppManager plugin provides a business centric view that helps align your IT resources to the needs of the business. 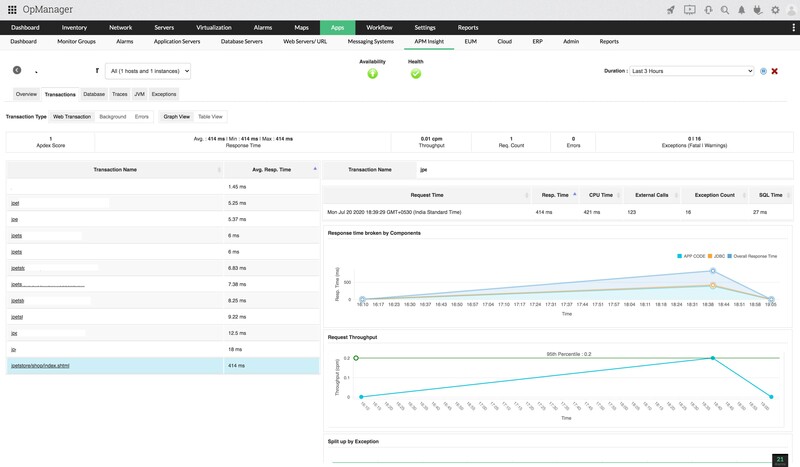 Monitor over 100 key performance indicators of your applications - including response time, resource availability, CPU/memory utilization and more. The Application Performance Monitoring capability is complemented by the ability to monitor business metrics using the Custom Application Monitoring capability. Did you know? You can also disable switch ports through OpManager. 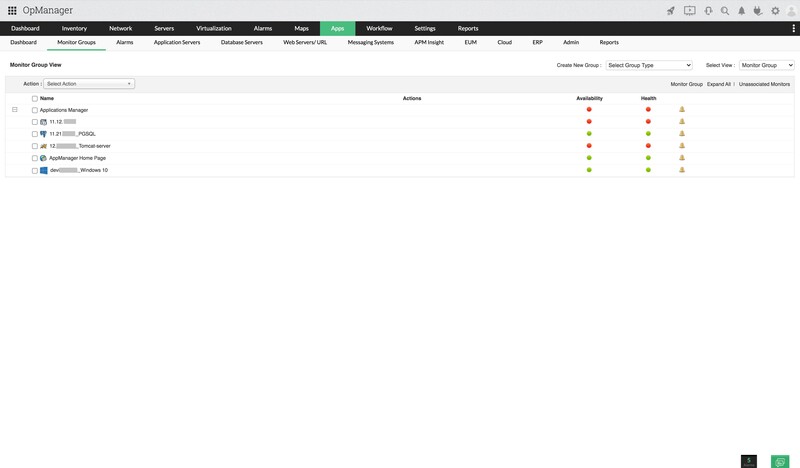 So once you identify the host causing the traffic jamming, you can get into the switch monitoring dashboard in OpManager and from there disable the port connected to the troubling host. Manage a wide range of business applications and network services. Get the flexibility to group the application and its related services to be monitored as a single unit. 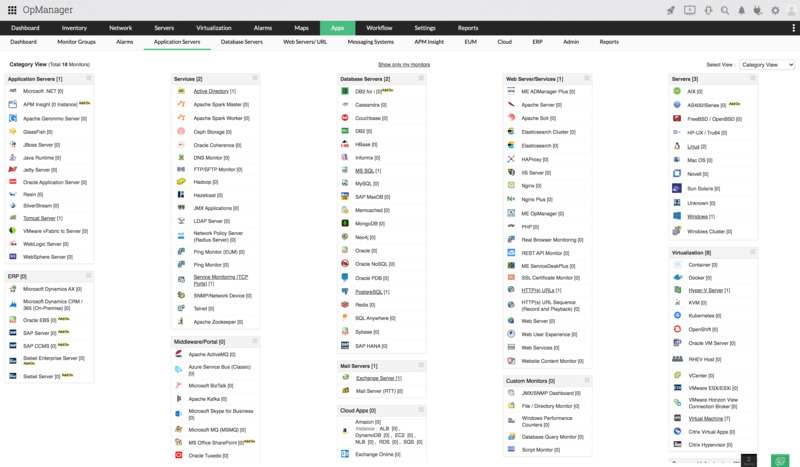 'Monitor Groups' give you an integrated view for effective monitoring and management. 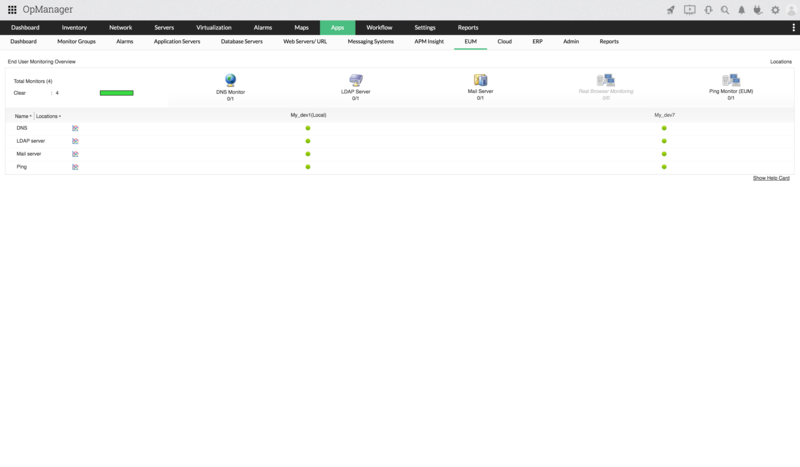 APM plugin also provides the ability to manage end-user experience of enterprise Internet Services and hosted Web Services. The plug-in offers capabilities for measuring the end-user experience of business-critical network services such as DNS, LDAP, Ping and Mail server from enterprise branch offices or even actual customer locations. This helps IT, to ensure they are meeting customer expectation. Diagnose and resolve problems before the end-user knows about it. Get notified of problems through e-mail and SMS alerts. Automate problem-resolution by executing corrective programs/scripts, sending SNMP traps. Trigger actions such as automatic start/stop/restart of Windows services, VMs and Amazon EC2 instances based on threshold violations. Reporting module empowers line of business managers. Extensive coverage helps administrators in application troubleshooting & capacity planning. The reporting function enables you to analyze your application server, database server, custom applications, custom scripts, services, and servers for months and all this without making any additional configuration changes.